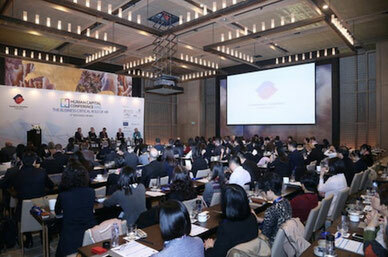 The European Chamber held the annual Human Capital Conference in Beijing discussing the critical role that Human Resources Management plays in running a successful business in China. One of the overarching themes discussed through the conference was that HR executives need to shift from an administrative function to a comprehensive strategic approach to HR derived from the specific business requirements in the Chinese market. Furthermore, CEOs and HR leaders discussed topics including talent management, mobility, innovation, managing millennials, and diversity. The Human Capital Conference is one of the most important HR events of the international business community in China and our Beijing-based executive search consultants were glad to join the event.